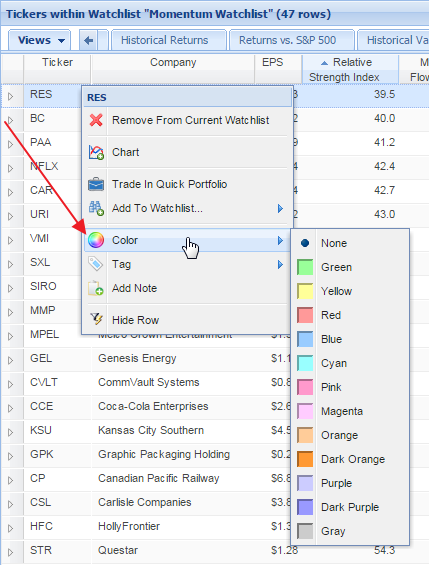 To color-code your stocks, first highlight one or several rows in the Table, then right-click on the highlighted row or rows, mouseover ‘Color’ in the drop-down menu, and then select your desired color. 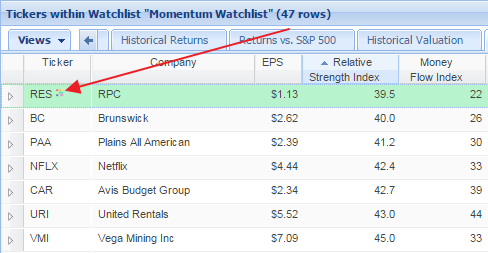 Once a row has a color, a small color palette icon will appear next to the stock ticker. To remove the color, simply click this icon.